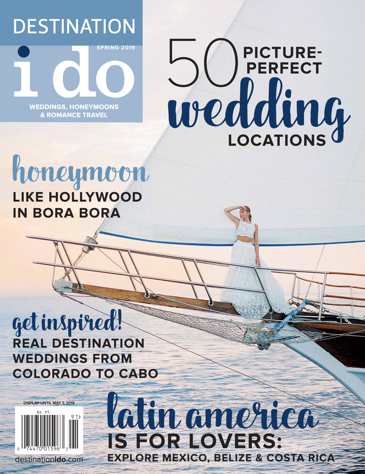 New Orleans might not be the first destination that comes to mind for a wedding away, but it has so much more to offer than Mardi Gras. In fact, locals cherish the softer side of NOLA. Also, discover our editor in chief's go-to New Orleans itinerary! 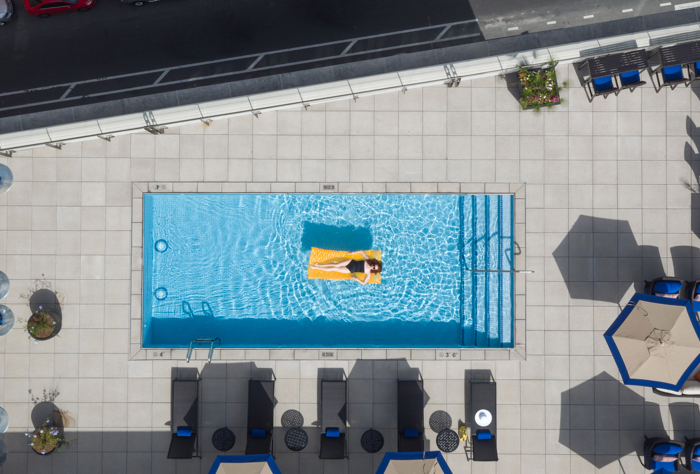 The NOPSI Hotel is one of the first luxury hotels to open in years and is turning your preconceived notions of New Orleans topsy-turvy. The building itself dates back to the 1920s and is the former home of the New Orleans Public Service Inc. (NOPSI). The hotel’s developers kept most of the original architecture intact, yet it has 217 guest rooms and 76 suites to suit your fancy. 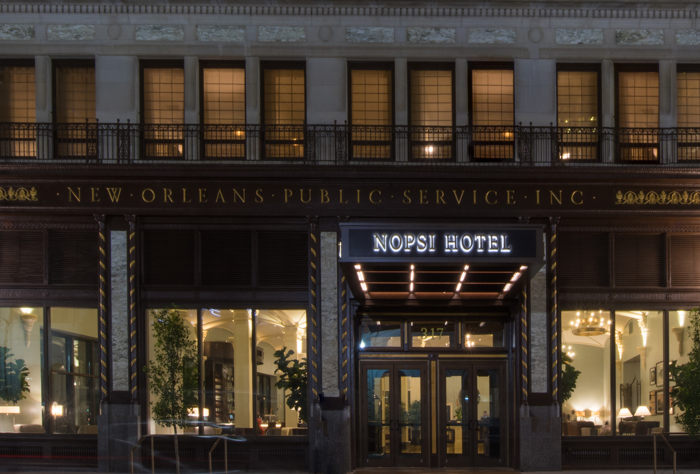 Located in the Central Business District, the NOPSI Hotel offers a high-end, laid-back setting, all within walking distance to the French Quarter and Garden District. The hotel’s outdoor venues are quickly becoming the places to see-and-be-seen. The underCURRENT’s patio is a hot spot for locals with craft cocktails that focus on gin and Champagne libations. For some after-hours fun, the NOPSI Hotel has one of the only rooftop bars in the area – Above the Grid, which has sweeping views of the city skyline. NOPSI Hotel’s food is a major selling point in regard to weddings. 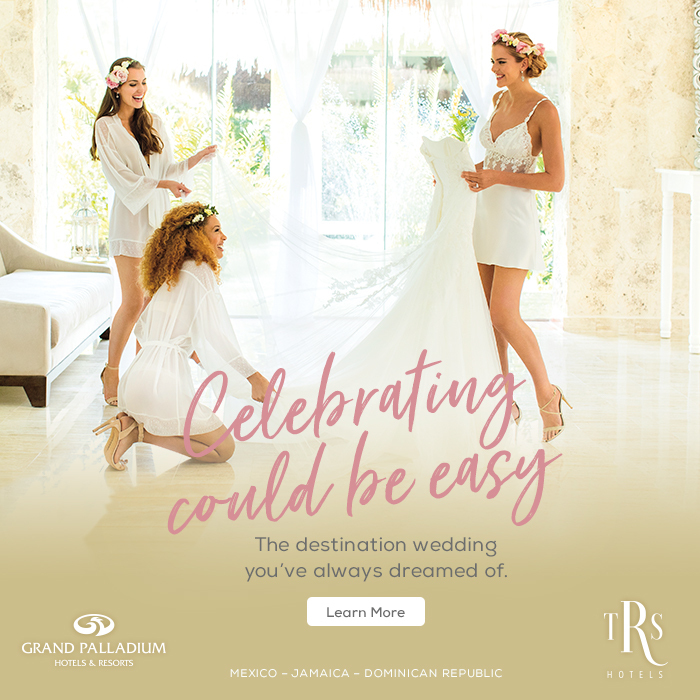 The hotel promises a “true restaurant experience” for your reception and the entire banquet menu boasts scratch cooking and Creole specialties. Executive Chef Peter Page is an expert on Louisiana cuisine and happily meets with wedding couples to create a custom menu. As for the “where” when it comes to weddings, NOPSI’s Dryades Grand Ballroom is the clear winner. 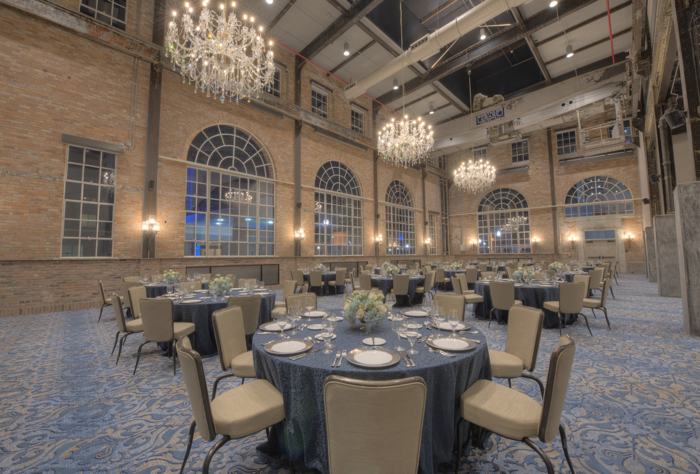 It’s a former warehouse with a chic, industrial vibe with 30-foot ceilings, exposed brick, arched windows and elegant chandeliers. If you’re after a more traditional ceremony site, the Immaculate Conception Church is just a few blocks away and the hotel can arrange for a Second Line to accompany you from the church back to the NOPSI. For pre- or post-wedding events, there are endless options in “The Big Easy.” Treat your guests to a traditional Friday luncheon at Galatoire’s or enjoy a farewell brunch at Commander’s Palace. For an unforgettable nighttime outing, seeing live jazz at Preservation Hall will be something you and your guests will not soon forget! Photos courtesey of (in order of appearance): Modus Photography (1st-3rd) & Courtney Cox (4th-7th).